The Stomach Flu Week; What we learnt from it. The past ten days or so have been surreal. It's been a combination of dejavu and groundhog day. JED have taken ill in a way that they've never done so before. They've never really ganged up on us and plotted to consecutively fall with a 3 day grace period in between. It was groundhog day because they fell in the same way. First, the complaint of the headache with lethargy, then the stomach ache, which is rapidly followed with repeated upchucking followed by cramps that could rival contractions and spontaneous diarrhea. a. When they were babies/ toddlers with less robust immune systems, if our clinic had frequent flyer miles, we would have got round trip tickets for the family to Disneyworld. In the last week, we were in the GP's office 3 times and the Emergency Room once in the middle of the night. b. Both Packrat and I have been going to work on 3 hours of sleep and getting through the entire day on that and adrenaline. It's just that the last time we had to do this, we were much younger and we were more junior in our professions. c. We were chucking out diapers on the hour. With such a virulent strain of a gastro-intestinal bug, the only way to save the furniture was to put even the eight year olds in diapers. My only problem was finding a diaper that could fit a 30 kg child. d. The house smelt distinctly of oils, soiled diapers, anti-bacterial sprays and the washing machine was going on through the day. At the same time, there was this fog of exhaustion but hyper alertness that we were operating through that felt unpleasantly familiar. It led both of us to unanimously declare that we didn't miss having young children or the sleep-limited- ships in the night - existence that we end up living through. e. Children being very ill, like having infants around, bring about back seat nursing by everyone around us, family, friend, foe and even stranger. Everyone insisted on doing what they swear/ swore by. Since we did indeed have 3, we actually tried to take some of the advice. At best, we would have found something that works, But most of the time, it ended up with us changing more clothes, sheets and spraying down the house. a. boil rice with lots of water and feed the water to the ill child. - In theory, that makes sense. Carboyhydrates and liquid, necessary for a child severely dehydrated and retching. Unfortunately, the sight of white porridge causes not just one but all my children to retch and becomes counterproductive. b. hydrate with 100 plus- Isotonic. Makes sense because there are the salts and sugars. Unfortunately, 100 plus itself is gassy and that makes it another trigger for the spewing. And if I'm going to replace 100 plus with another isotonic, I'm going to find a drink that they like, increasing the chances of them possibly keeping it down. c. let sleeping children sleep- Dehydration causes disorientation and drowsiness. Muffin was rapidly getting to that point, his skin was scaly, he lay still and staring blankly in space drifting in and out of sleep. We kept being told, Muffin just needed to sleep and rest when I insisted on waking him up to force sips of juice/ ribena/ water down his throat. Thankfully, I'm thick-skinned that way and kept insisting. d. get the child to drink coconut water- Full of electrolytes. Good for the spewing, purging child. Once again, good in theory but did not live up to expectations. My couch is testament to the failure in execution. e. listen to the child- One of the meds was bitter beyond belief and required said child to leave it under the tongue and let the system absorb it. It worked like a dream but it required a high tolerance for the bitter and the fact that there was no food or liquid for half an hour after made it difficult. Of course, any child would protest a repeated dose despite it being necessary. Unfortunately, in a situation like this, there is nothing democratic about parenting. Unfortunately also, when the grown ups decide to listen to the child instead of the prescription on the bottle, the child ends up throwing up repeatedly till one of us, mean cruel parents returns. a. oils- We did the whole gamut. I do the whole Young Living thing and threw everything at their bellies and constitution. While it didn't stop the virulence of the bug, it made them feel more comfortable and purified the air in the house. For Jordan, who had cramps that approximated labour pains, we piggy backed both the Young Living oils with the traditional Chinese Ru-Yi oil that they used as babies. 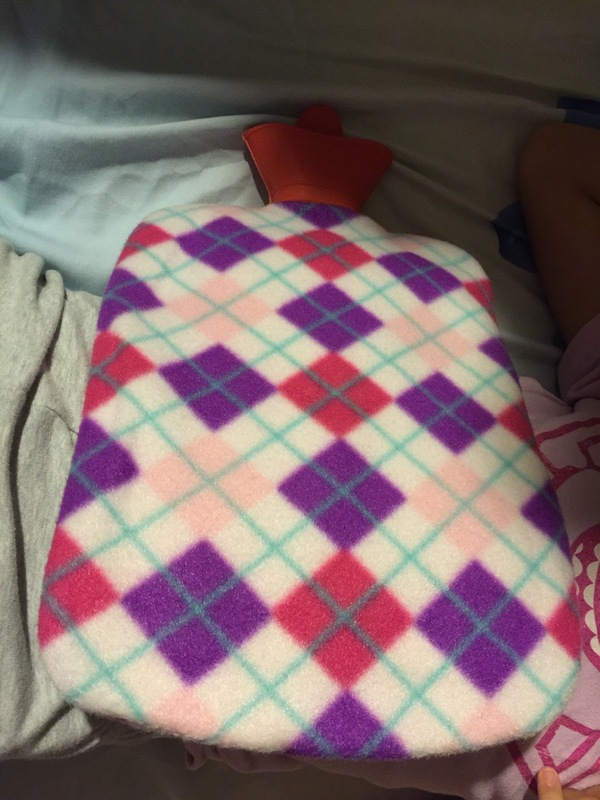 b. the hot water bottle- Cramping in small children apparently cannot be helped by adult type anti-spasmodics. So the only way to get past the cramps is to, like childbirth, let it pass. Easier said than done but the traditional hot water bottle did help quite a bit. Our kettle has been somewhat over-taxed. c. the onion omelette- About the weirdest thing I've ever done. Once again, a throwback to baby days, this time to the early baby days when our beloved confinement nanny was with us. 8 years ago, the twins had horrific colic and our nanny chopped up shallots, dry fried them, beat an egg and poured it over the onions to fry. When cooled, she placed a muslin cloth over the baby's belly and placed the egg over it with another piece of muslin wrapped over it. Very bizarre to have an infant smell like something out of a nasi lemak dish. Half an hour later, all the excessive gas in the baby would come trumpeting out. Because we couldn't do much for Jordan's cramping, Packrat suggested we tried that. We did, despite her protests and an hour later, she was happily watching television. d. feed the child whatever he or she can keep down- We ended up feeding JED Milo cereal balls, frozen juice lollies, copious amounts of Ribena and toast with sugar and Milo powder on it. Eventually, there would be a breakthrough and they eat something resembling a meal and we know we're in the clear. Till then, it truly was a matter of throwing high calorie, low irritant foods at them and praying that they pick up some of them. We're hoping that the worst is over because I'm truly truly exhausted and would love a sleep holiday with a gorgeous pillow top mattress and lush sheets but I don't think that's on the cards at this point. So, I'm thankful for little things like the fact that it's a long weekend and that the house no longer smells of vomit and poop.